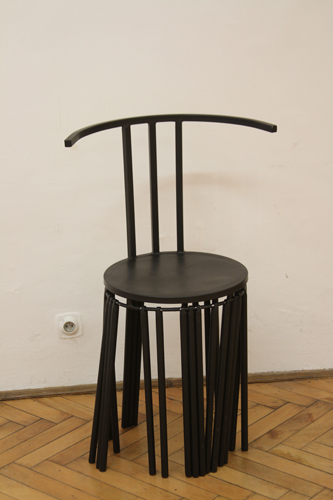 I've participated at the U.S.Steel Metal Inspirations workshop, a Kosice (Slovakia). The theme of the event of 2014 was related to the motto: I, European, celebrating Slovakia's 10th year of EU membership. 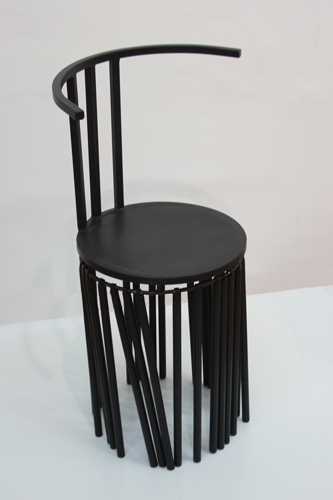 I've created three objects: a 28 legged chair that has movable legs. At first glance it seems unstable, but with a little help it can take up stable position on any surface. In addition I recycled a TV-tube and made a small table of it that also has moving legs. And I made a small sculpture from welded metal and a blown eggshell.